The youngest NFL team to make it to a Super Bowl is thrilled about their big participation trophy. 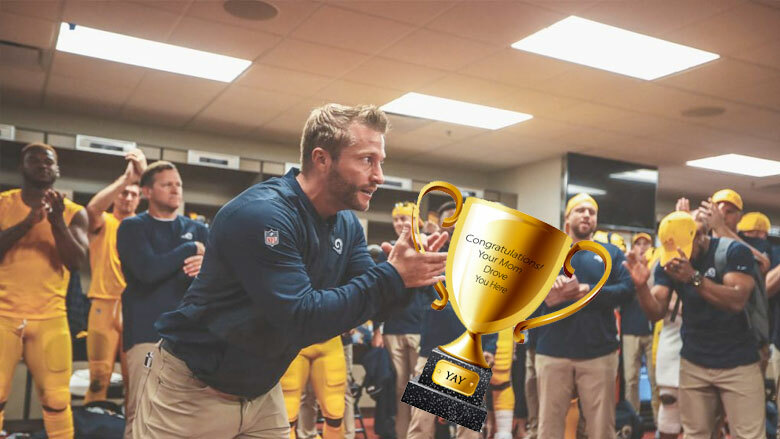 After getting awards for nothing their entire lives, the all-millennial cast of the LA Rams team is content. “We won, Mom!” receiver Robert Woods said in the post-game press conference. “I’m going to put this trophy next to the other 67,023 I have!” running back Todd Gurley exclaimed.